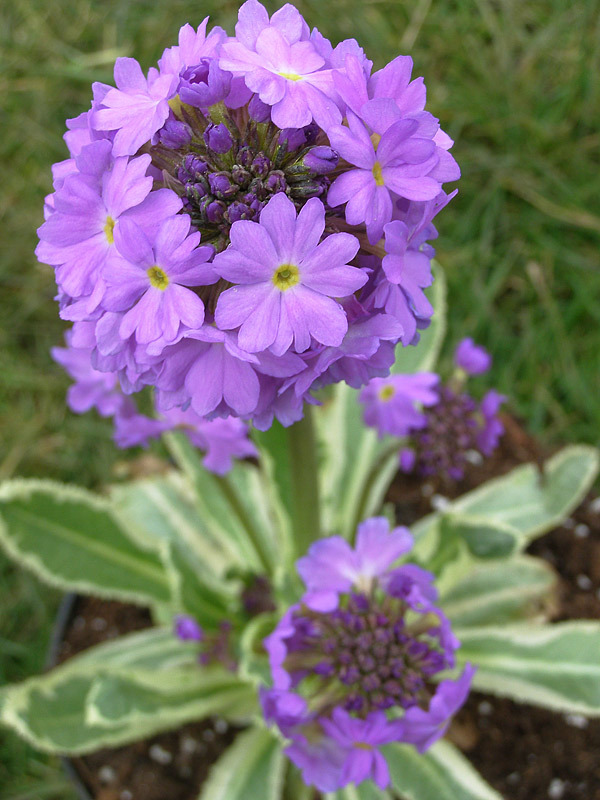 Typical drumstick primula heads in soft purple. 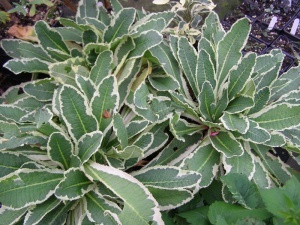 The leaves are strongly variegated with cream margins. Forms solid clumps when happy. 30cm. March /April. 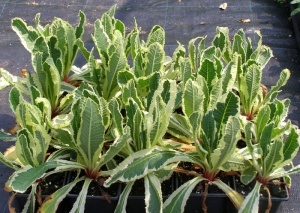 Damp soils in sun. The odd green reversions should be removed. 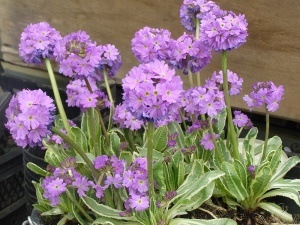 An unusual form launched by Blooms in the 1970s and which almost disappeared.